Since emerging onto the international art scene in the early 1960s, Yoko Ono has made profound contributions to visual art, performance, filmmaking, and experimental music. Born in Tokyo in 1933, she moved with her family to New York in the mid-1950s and enrolled at Sarah Lawrence College. Over the next decade she lived in New York, Tokyo, and London, greatly influencing the international development of Fluxus and Conceptual art. Ono’s earliest works were often based on instructions that she communicated to the public in verbal or written form. 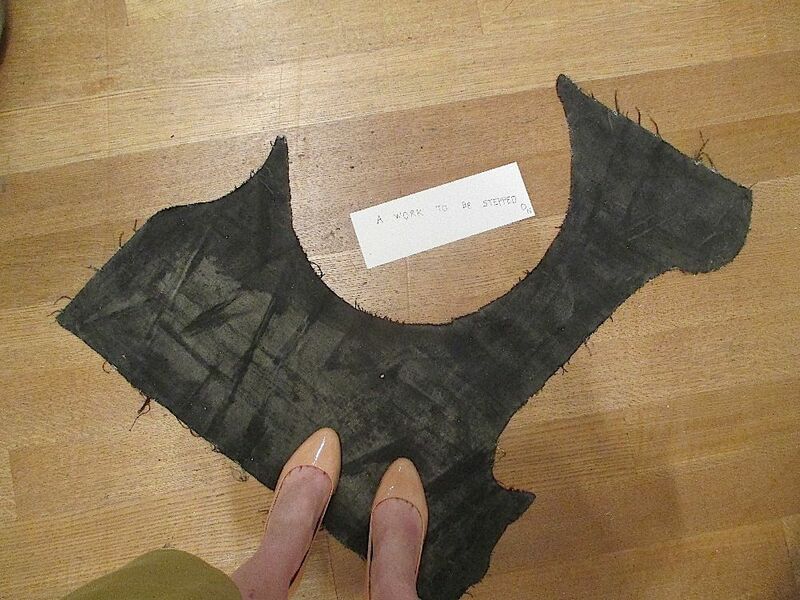 Painting to Be Stepped On (1960–61), for example, invited people to tread upon a piece of canvas placed directly on the floor, either physically or in their minds. Though easily overlooked, the work radically questioned the division between art and the everyday. In 1964, she compiled more than 150 of her instructions in her groundbreaking artist’s book, Grapefruit. The instructions range from feasible to improbable, often relying upon the reader’s imagination to complete the work. At turns poetic, humorous, unsettling, and idealistic, Ono’s early instruction pieces anticipated her later work, such as Cut Piece (1964), a performance in which people were invited to cut away portions of her clothing; Sky Machine (1966), a sculpture that speaks to her environmental concerns; and To See the Sky (2015), a spiral staircase installed beneath a skylight that visitors were invited to ascend in order to contemplate the sky. Ono’s collaborations with her late husband, Beatles legend John Lennon, including Bed-In (1969), a weeklong antiwar protest in their honeymoon suite, boldly communicated her commitment to social justice. Never one to confine her work to the gallery space, Ono continues to perform with her avant-garde Plastic Ono Band, promote world peace through her ongoing WAR IS OVER! campaign, and create works that blur the boundaries between art, politics, and society. In recent years, she has embraced social media to communicate her artistic and activist messages to even broader audiences. Yoko Ono (Japanese: 小野 洋子, translit. Ono Yōko, usually spelled in katakana オノ・ヨーコ; born February 18, 1933) is a Japanese-American multimedia artist, singer, songwriter and peace activist. Her work also encompasses performance art, which she performs in both English and Japanese and filmmaking. Singer-songwriter John Lennon of the Beatles was her third husband. Ono grew up in Tokyo and also spent several years in New York City. She studied at Gakushuin University, but withdrew from her course after two years and moved to New York in 1953 to live with her family. She spent some time at Sarah Lawrence College and then became involved in New York City's downtown artists scene, which included the Fluxus group. She first met Lennon in 1966 at her own art exhibition in London, and they became a couple in 1968 and wed the following year. With their performance Bed-Ins for Peace in Amsterdam and Montreal in 1969, Ono and Lennon famously used their honeymoon at the Hilton Amsterdam as a stage for public protests against the Vietnam War. The feminist themes of her music have influenced musicians as diverse as the B-52s and Meredith Monk. She achieved commercial and critical acclaim in 1980 with the chart-topping album Double Fantasy, a collaboration with Lennon that was released three weeks before his murder. Public appreciation of Ono's work has shifted over time and was helped by a retrospective at a Whitney Museum branch in 1989 and the 1992 release of the six-disc box set Onobox. Retrospectives of her artwork have also been presented at the Japan Society in New York City in 2001, in Bielefeld, Germany, and the UK in 2008, Frankfurt, and Bilbao, Spain, in 2013 and The Museum of Modern Art in New York City in 2015. She received a Golden Lion Award for lifetime achievement from the Venice Biennale in 2009 and the 2012 Oskar Kokoschka Prize, Austria's highest award for applied contemporary art. As Lennon's widow, Ono works to preserve his legacy. She funded Strawberry Fields in Manhattan's Central Park, the Imagine Peace Tower in Iceland, and the John Lennon Museum in Saitama, Japan (which closed in 2010). She has made significant philanthropic contributions to the arts, peace, Philippine and Japan disaster relief, and other causes. In 2012, Ono received the Dr. Rainer Hildebrandt Human Rights Award. The award is given annually in recognition of extraordinary, nonviolent commitment to human rights. Ono continued her social activism when she inaugurated a biennial $50,000 LennonOno Grant for Peace in 2002. She also co-founded the group Artists Against Fracking in 2012. She has a daughter, Kyoko Chan Cox, from her marriage to Anthony Cox and a son, Sean Taro Ono Lennon, from her marriage to Lennon. She collaborates musically with Sean. Typescript for Do It Yourself Fluxfest Presents Yoko Ono & Dance Co. Mechanical for Do It Yourself Fluxfest Presents Yoko Ono & Dance Co.
Do It Yourself Fluxfest Presents Yoko Ono & Dance Co.